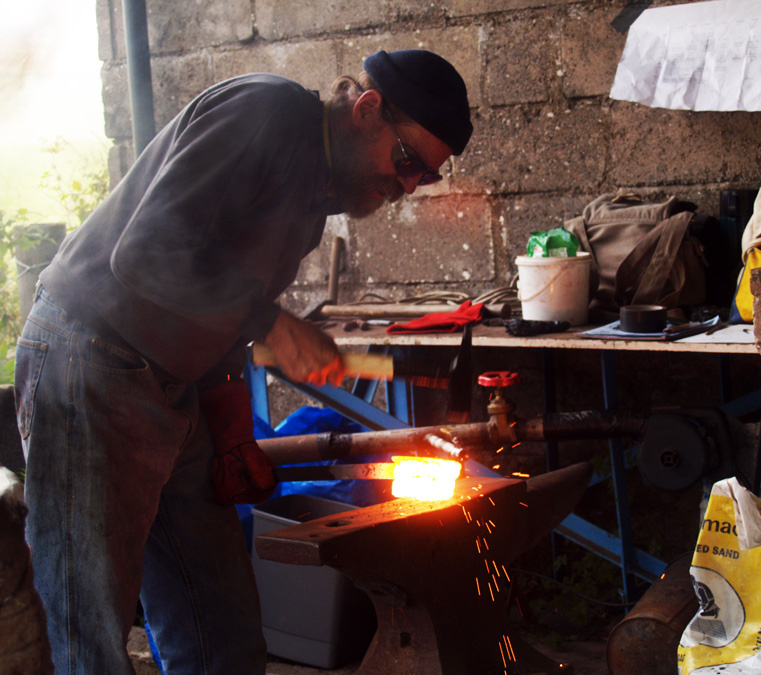 Darrell Markewitz is a master blacksmith, hailing from Wareham Forge, Ontario. He has joined SSW Artist Eden Jolly for the Slow Prototype From Turf to Tools (which has an open forum this weekend, schedule available here eepurl.com/08VOb). 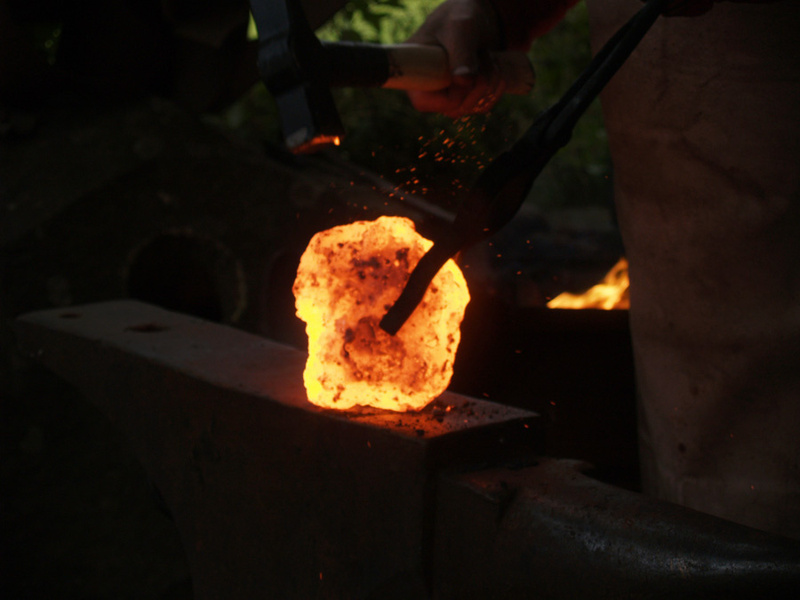 This is an exploration of the bloomery iron process – an ancient method of metal production, knowledge of which has been largely lost over the last millenia. Darrell, you and Eden are both collaborating for an SSW Slow Prototype, how did this come about? We met after Eden requested advice on bog iron ore in an online forum, and with my experience in sourcing bog iron in Canada, I got in touch. 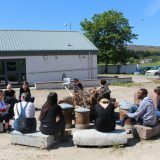 This opened up a dialogue through which I was invited to lead the practical application of the project – I jumped at the chance to come to Scotland and SSW. From Turf to Tools was then drafted from a rough concept to a Slow Prototype, a collaborative methodology SSW has been employing over the last few years. Can you give us an overview of some of the roles, responsibilities and activities that are taking place? 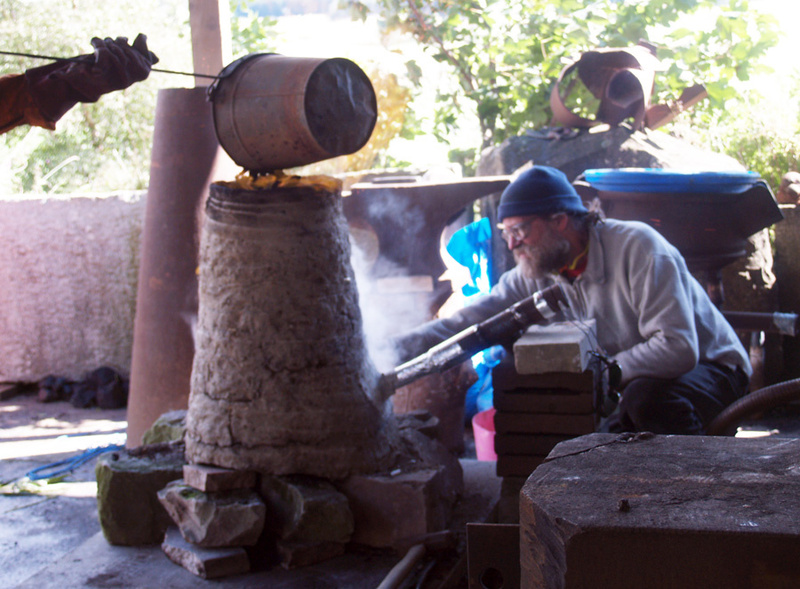 The focus of the smelting and forging has been derived from the archaeological findings in a near-by village. 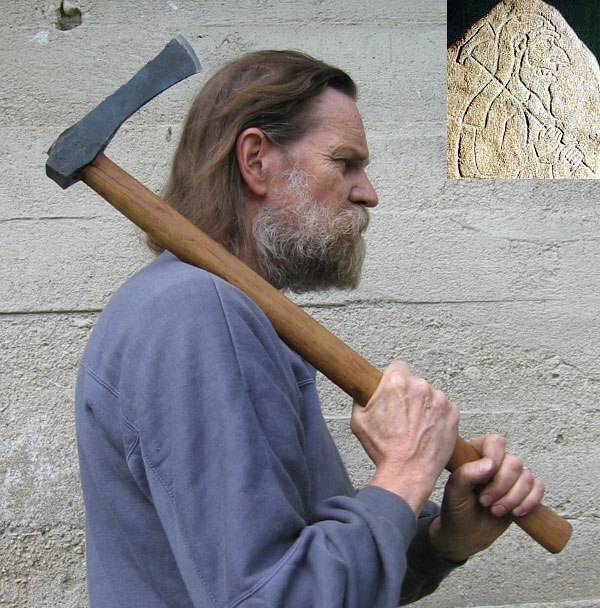 Evidence of iron work included a small-scale replica of the axe depicted on the Rhynie Man standing stone, from approx. 500 AD. The outline of the methods that might have been used have come from further archaeological research from the Culduthel site (located approx. 150 miles North West of Lumsden). Guiding the project are also the concepts surrounding the local environment, available raw materials, shapes and processes. Overall, the technical and cultural references are centred on the local region, and to what could be called the Pictish Late Iron Age. We are intending to perform three iron smelts in total. 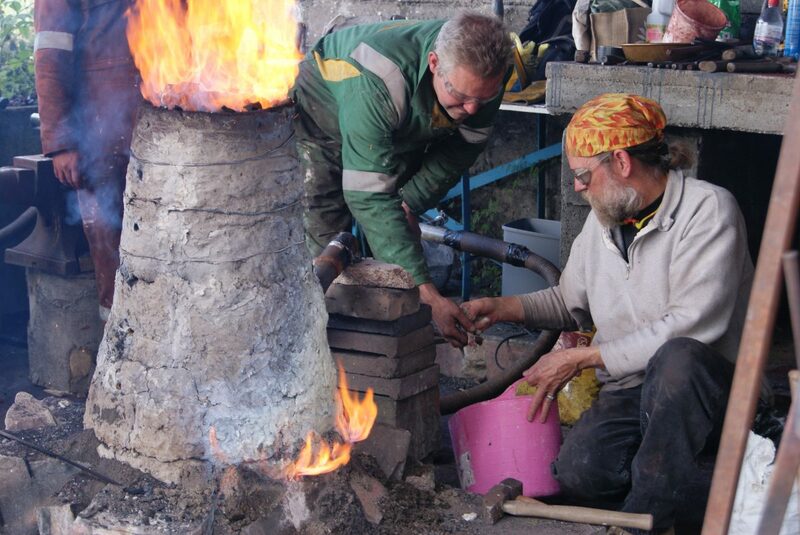 The first will include the building of the furnace, the second to utilise the specialised macaulayite ore, a type distinctive to the local area, and for the last smelt we hope to use human-powered air from drum bellows. The last smelt is scheduled for Saturday 22 August, and will be a public demonstration event open to the public, with the assistance of staff, visitors, researchers and the general public. What is the process of moving from an iron bloom into the working tool? One thing we are trying to find out is how the conversion process of compacting raw iron bloom into a working bar took place. There is more art than science here, as each bloom can be quite distinctive in terms of quality, size and shape. In simple terms, the spongy bloom needs to be cut to working sized pieces, then compacted down. 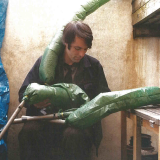 This is all done a a high heat with a hand hammer – repeatedly drawn, folded and welded. Only once all this is accomplished can the iron start being forged. Alongside the smelting process, several prototypes of the Rhynie axe, the tool we are attempting to create, will be made in modern steel. The axe is an unusual object, as it is the only one of its kind found in Scotland. 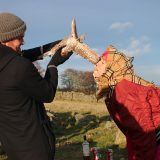 What the Rhynie Man represents, or what the axe might have been intended for, is open to several interpretations. Those in turn effect the possible shape and the way in which the object itself is forged. 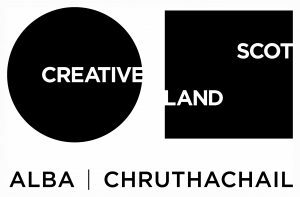 What in particular inspired you regarding the archaeological finds in Rhynie? My primary research and practical experimentation has been with later Viking Age and Norse archaeology. 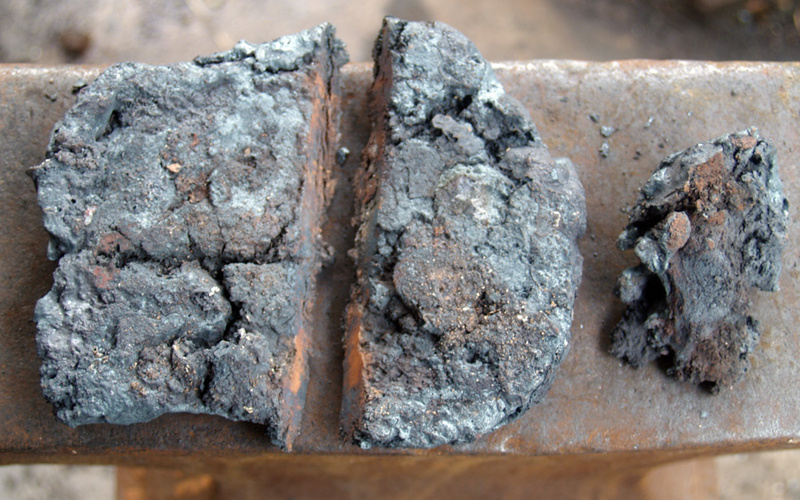 The raw technology used in smelting iron ore, compressing it to a working bar, is certain to be similar to that of the Picts of the post Roman era. Axes themselves are working tools, and as such generally conform to basic shapes and methods of production. If anything, one of the problems we are encountering in Turf to Tools is how uncommon axe finds are for the pre Viking Age, with only around 15 found in the UK, all within the South East of England. Rhynie Man’s Axe thus depicts a rare and quite distinctive object. Going back to the process over the outcome, the technical requirements of a correctly functioning iron smelting furnace are always modified by the interplay of available raw materials. Even in ancient times, there would be modifications required from a kind of ‘theorectical template’ furnace, into something suited to the precise local resources. One of the challenges of any attempt to replicate past processes is having an awareness of how centuries of human activity have impacted, or even totally consumed, the original resources. 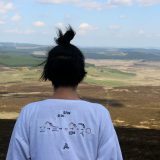 One of the most interesting aspects to the puzzle of history is attempting to gain some understanding of what might have been the original intent to a figure like the Rhynie Man, and the recreation of an ancient process alongside the replication of the Rhynie Axe may perhaps yield some clues. How have you found your experience of collaborating with SSW so far? As a practioner used to working independently, the opportunity to shape a project within a larger framework of artists, researchers and academics, is one that I know will enrich my own practice. I am enjoying putting my past experience of Early Iron work into the mix for Turf to Tools. There is no initiative like SSW in my home region of Ontario in Canada, so as an artist, the prospective of working in a collaborative group has been very exciting. 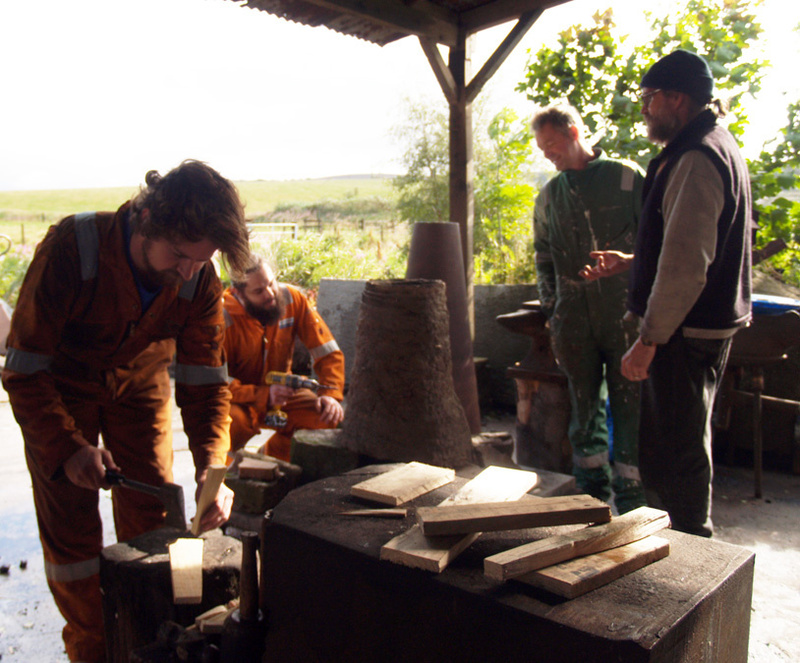 Darrell is also teaching the Aristotle Furnace two-day course on Saturday 30 and Sunday 31 August. 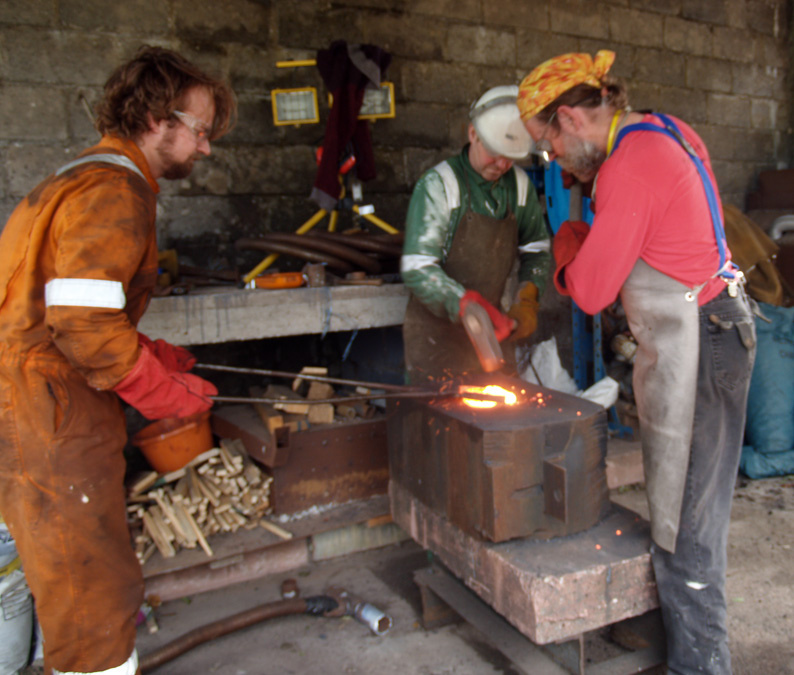 The course takes participants through the process of iron smelting, making a table-top furnace that will produce workable metal. Each participant will be able to take their own furnace home with them. The course is £180, including materials.